Every January we as South Africans focus our full attention on the successes, and failures, of the education system as marked by the Matric results. We celebrate the individual shining examples of extraordinarily bright students, of inspiring principals that produce amazing results against all the odds, and take a step back to assess how we are doing. This year, many commentators rightly noted that the roots of educational success lie in early childhood, and that to produce equal educational outcomes we must increase our attention and investment into quality early learning. This investment would have exponential returns for our people and society at large. But a singular focus on early childhood development without a simultaneous commitment to young people would be foolish. One of our greatest opportunities as a society is to seize the enormous potential of our young population through ensuring that all young people are able to connect to opportunities – and stick in them – that set them up to be employed for their lifetimes. At the moment, over half of all young people never get this chance. 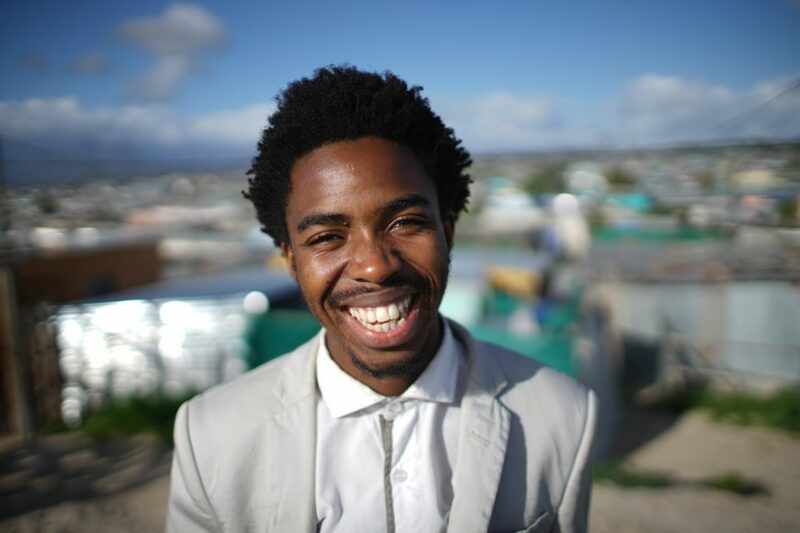 Take, for example, Siyabonga Mbaba – a bright-eyed 23-year-old living in Khayelitsha, Cape Town. Siyabonga is officially a ‘NEET’ (a person Not in Employment, Education or Training). In fact, half of young people between 21 and 25 fall into this category – many of them the recent Matriculants, and those who dropped out of school before even reaching Matric. But this label, which describes only the deficits in his life, doesn’t capture a full reality – Siyabonga is probably one of the busiest and most productive people you will ever meet: he volunteers at two orphanages in Khayelitsha; he runs a reading club with young children, which he brings alive with his love of language and dramatic skills; he dances whenever he can in informal and formal productions; and he works with artists to try and develop an enterprise and gain some income. For many young people like Siyabonga this is their ‘hustle’ – and for a while, it can work out. But for too many young people a real, imminent, and substantive opportunity always seems to slip over the horizon. We know there are many structural reasons why this happens: the economy is struggling to sustain current jobs, never mind grow new opportunities; a significant number of young people never attain basic educational qualifications such as a Matric certificate, and there are almost no pathways to further education or opportunities without it (even the large-scale youth employability programmes evaluated in a recent study by the University of Johannesburg all required a Matric certificate as an entry point); and transport and communications costs are far too high for young people to sustain work-seeking for long periods of time. These structural constraints seem to have constrained even our ability to imagine what our country could feel like if we really seized the opportunity our young people present. While the broader dynamics take a long time to change, there are a number of things that we can do right now. Most young people are disconnected from social networks, advice, and mentoring that can aid them in successfully navigating the complex pathways from school to work. In their fascinating book ‘Growing Up in the New South Africa’, Bray et al note the different ways in which adolescents in Fish Hoek and Masiphumelele spoke about their future careers. Young people in Masi’ could identify what they wanted to become and that, in general, they had to work hard at school to get there. So did the kids in Fish Hoek. But they had a secret weapon: without fail they could think of someone in their family’s network who had that career they were pursuing; they could think of people who would be able to advise them and help them make decisions about their options, and as a result, they could identify the precise path they would need to take to ensure their success. This kind of confidence, knowledge and ‘suss’ is developed in human relationships and networks – which is why mentoring can be one of the most powerful tools to change the trajectory of someone’s life. There are over 600 000 formal SMMEs, and over 130 000 NPOs, in South Africa – imagine if just half of them took on a single young person and provided them with substantial work experience; if they provided a personalised reference letter, and some basic advice on where to seek opportunities. If we could make this happen, we would create opportunity for at least 10% of the current NEET population and make a huge dent on the current crisis. Contrary to all our popular stereotypes, most young people are like Siyabonga: they’re hustling hard to live a meaningful life, make a contribution, and earn an income of some kind. Too often, as society, we solely blame these young people for their unemployment – and yes, Siyabonga failed Matric, which means the odds of him getting a formal job are very low – rather than seeing the extent of their resilience in a brutal and unforgiving socio-economic system. It is crucial that we change this dynamic if we are to make any headway in stimulating a positive and innovative response to high youth unemployment. It’s time that we as citizens, companies, and decision-makers step up for young people and get into their corner – it’s the only way our people, economy, and society will flourish. This article was first published in the Star on 6 Feb 2017.